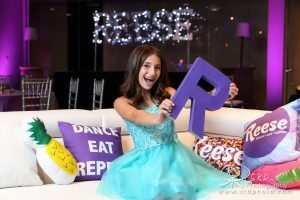 Reese threw a “sweet” Bat Mitzvah celebration for her loved ones at the Metropolitan Club in Atlanta. 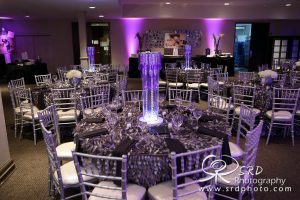 along with Atlanta Event Decor did a wonderful job of bringing that vision to life. 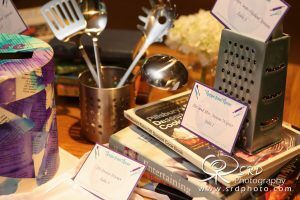 The space was kept simple, with shimmering silver accents, and adorned with fun cooking accessories, like custom recipe cards, hanging restaurant signs and cute kitchen utensils. 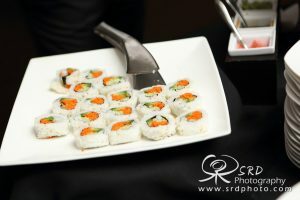 Once the party was underway, the guests enjoyed cocktail hour and noshed on tuna tacos, rice paper rolls, and other delicious selections. 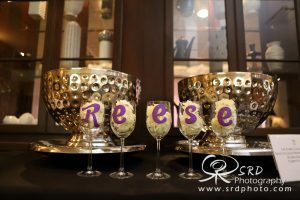 After the adults were invited into the main party space, Reese surprised everyone with a very different and creative entrance. She played a video of herself in the kitchen, panicking over not having food for her party….so she decides to start cooking and save the day! At this point, she and her family run in for their grand entrance. 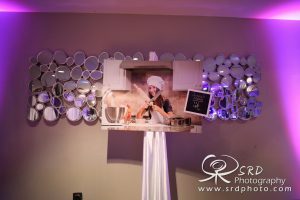 It was so creative and all of her guests loved it! Shortly after, dinner was served. Guests enjoyed stations including tenderloin with mashed yucca, risotto, and lemon sole. 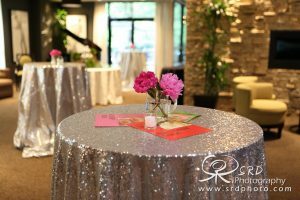 Once guests had their fill, DJ Krazy Boyz got everyone out on the dance floor to dance the night away! MC Jason even let Reese have a go at the CO2 gun, and we love this photo, taken by Steven Dewberry, of her blasting smoke at the crowd. 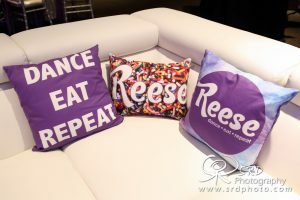 Videographer James Futch also captured this (and many other) moments throughout the evening, while Memories in a Moment provided a green screen for fun, not-so-formal photos for Reese’s guests. 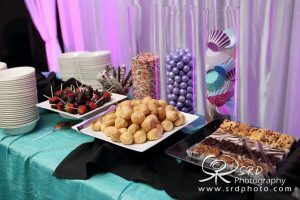 As the evening’s festivities continued, dessert was served and guests enjoyed tons of mouth watering treats, but the sweetest treat was a SURPRISE happy birthday and cupcake for Reese’s big sister, Zoe. 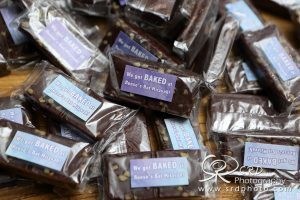 At the end of the night, guests left with airbrushed shirts, “Reese’s” peanut butter cups, and these (hilarious) brownies.